Before the launch of the new OnePlus smartphone we heard rumors about a limited edition version of the handset. The OnePlus 6 Avengers Infinity War Edition, that handset is now official. 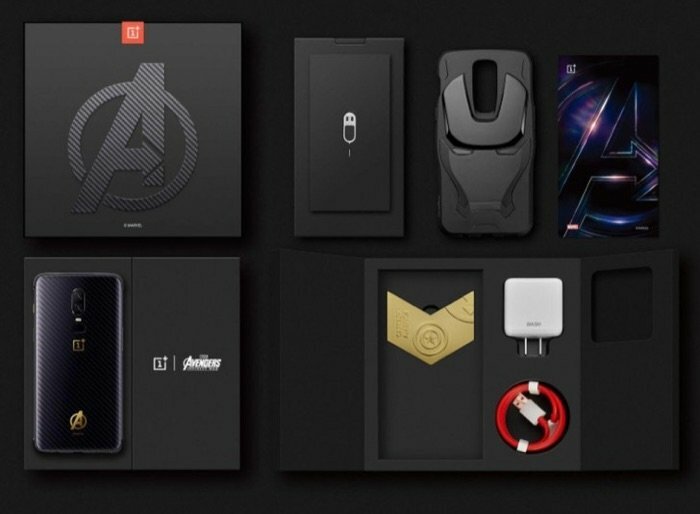 The OnePlus 6 Avengers Infinity War Edition gets some design changes over the standard device, these include a carbon textured rear casing an a gold Avengers logo on the back. The handset comes with a protective case that is designed to look the the Iron Man Helmet and it also comes with some more Avenger themed accessories. The handset has gone on sale in China and it comes with 8GB of RAM and 256GB of storage, the device retails for CNY 4,199 which is about $660 at the current exchange rate.